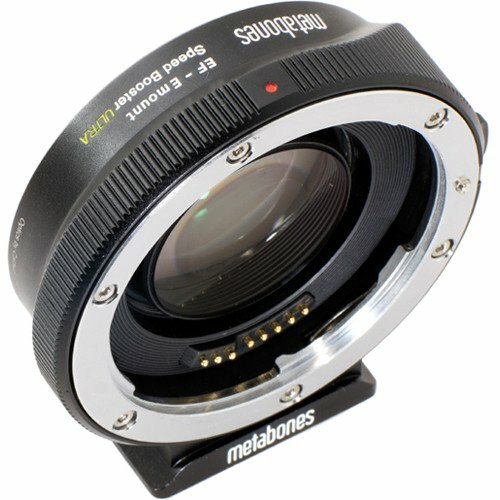 The Canon EF Lens to Sony E-Mount Camera Speed Booster ULTRA from Metabones improves upon the original Metabones Speed Booster with a 5 element/4 group optical design that incorporates ultra-high refractive index tantalum-based glass for improved sharpness and reduced distortion and vignetting. The Speed Booster ULTRA allows a full frame Canon EF lens to be mounted to an APS-C format E-Mount camera and in doing so, increases the angle of view and the maximum aperture by approximately one f/stop. 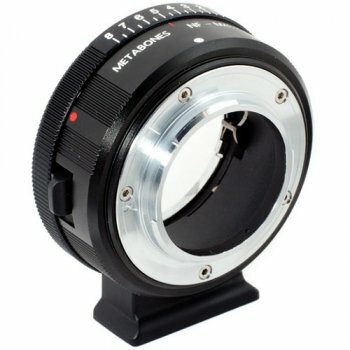 When a lens intended for full frame sensors or 35mm film is mounted to a camera with an APS-C sized sensor, it transmits a larger area of light than the smaller sensor was built to accept and therefore the effective angle of view of the lens increases. 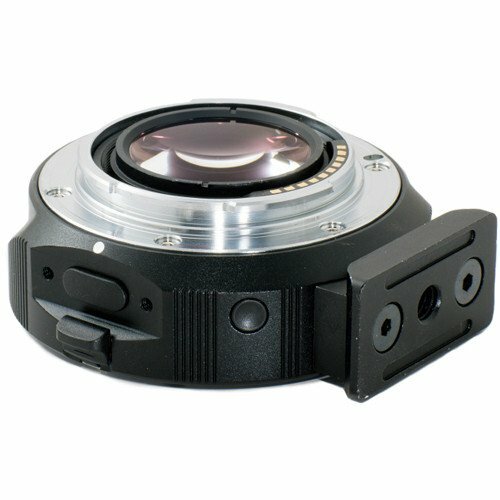 The Speed Booster condenses light from the lens and projects it onto the APS-C sensor allowing the sensor to utilize all of the lens′ light and effectively reduces the crop factor of and APS-C E-Mount camera from 1.5x to 1.07x, producing a full-frame angle of view with an APS-C sensor. A corresponding increase in the maximum aperture of one f/stop makes the lens more effective in low-light situations and able to create a shallow depth of field. Automatic exposure information is communicated by the speed booster and controlled from the camera body and partial autofocus is supported for post-2006 Canon-brand lenses. No external power source is required as the speed booster is powered by the camera. 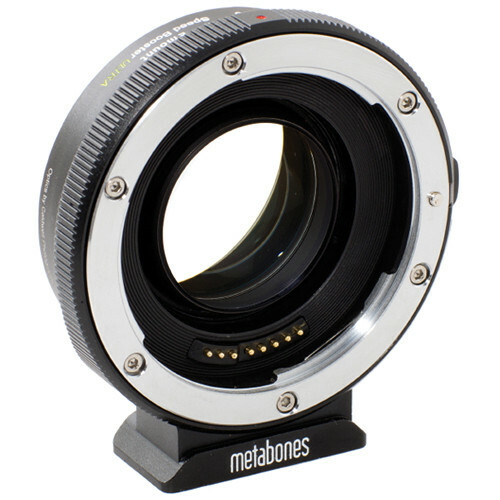 Metabones Speed Boosters are quality made, using precision-machined brass with chromium plating on both the camera body and the lens side of the booster in order to ensure smooth mounting, quality aesthetic, and durability. 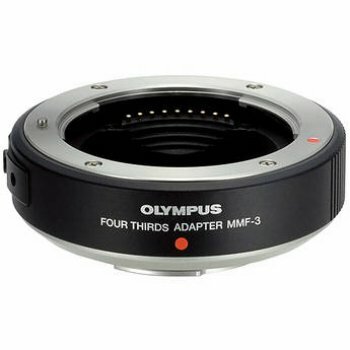 This adapter has a detachable tripod foot that is compatible with Arca Swiss, Markins, and Photo Clam ball heads. These speed boosters are only fully compatible with mirrorless cameras housing APS-C or smaller image sensors. 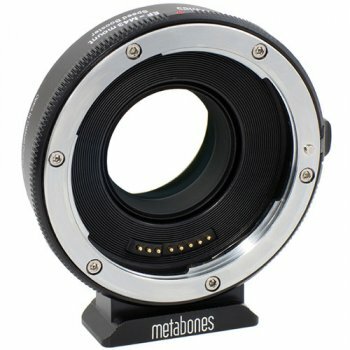 They will physically fit the Sony A7/A7R/A7S full frame mirrorless cameras but the camera must be set in Crop Mode to fully support the speed booster′s functions. 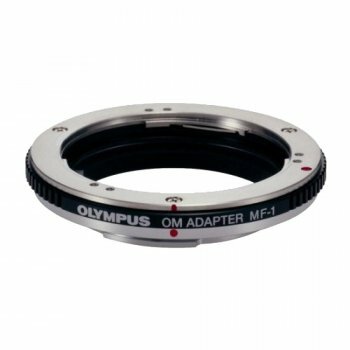 Allows a full frame Canon EF lens to be mounted to an E-mount APS-C format camera and in doing so, increases the angle of view and increases the maximum aperture one f/stop. 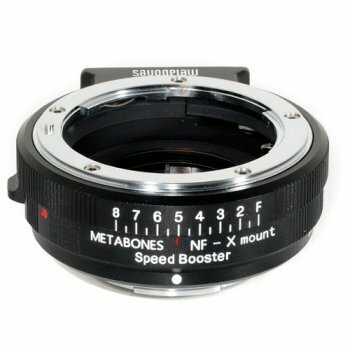 The Speed Booster ULTRA design incorporates ultra-high index tantalum-based optical glass for enhanced optical performance with improved corner sharpness and reduced distortion and vignetting. 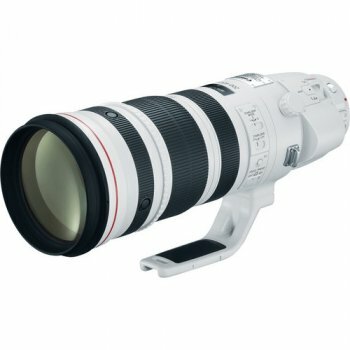 This glass technology and optical design perform extremely well with professional-grade f/2.8 zoom lenses and high-speed fixed focal length lenses such as a 50mm f/1.2 which will perform as a 35.5mm f/0.9 lens with high contrast and resolution from the center to the edges of the image. 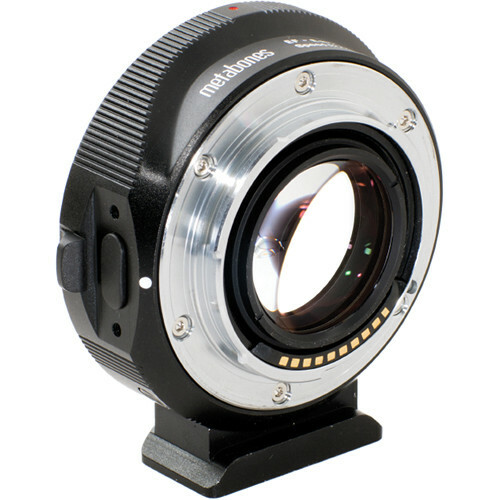 Electronic integration of the camera′s aperture is supported in P, A, S and M modes and controlled via the camera body and partial autofocus is only officially supported for post-2006 model Canon-brand lenses. Continuous AF is not supported. Image Stabilization is supported and EXIF data is communicated. High performance 32-bit processor and efficient switched-mode power supply is featured and the speed booster is powered by the camera body. 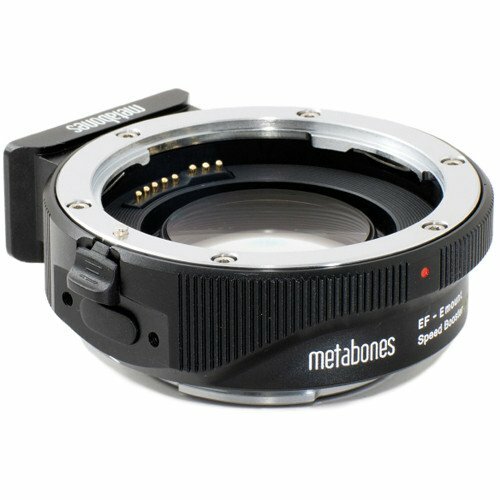 Precise fit and solid connection - lens has no play, gap or wiggling when mounted on speed booster and no adjustments are required to fit your lens. Both the camera-side and the lens-side of the speed booster are made of brass which is precision-machined and chrome-plated. 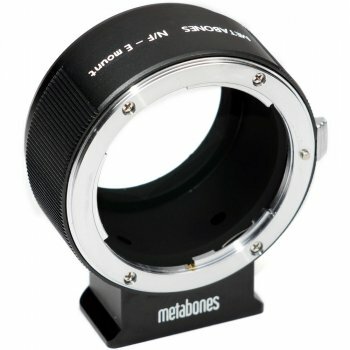 The Speed Booster uses matte-black treatment to keep internal reflection to a minimum in order to maintain the maximum optical quality possible with the lens. The exterior features a black satin surface finish. 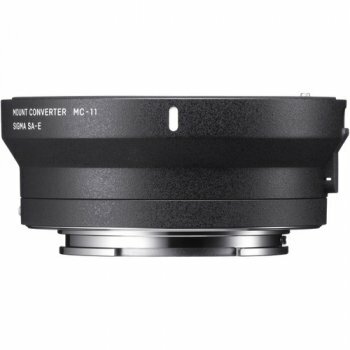 The Speed Booster is fine-tuned to be able to focus to infinity for every combination of lens and camera body, and also to ensure optimal optical quality with CRC or floating-element lenses. 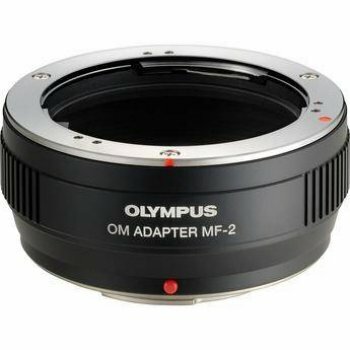 No adjustments are necessary, but some older lenses which are out of tune due to age and some lower quality optics may not be able to focus to infinity with a Speed Booster. 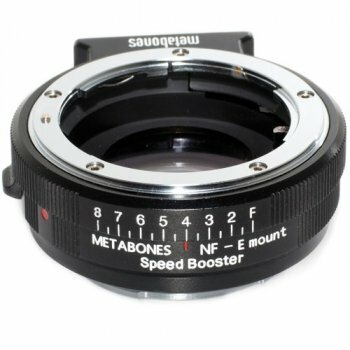 It is possible to adjust Speed Booster to allow for infinity focus for these lenses by loosening the stop screw and rotating the glass elements. The speed booster features a detachable tripod foot which is compatible with Arca Swiss, Markins, Photo Clam ball heads.